Argentina is a beautiful and thrilling expat destination, but like many popular expat destinations, is isn’t free from health risks. Expats should know what to prepare for when it comes to potential health risks in the country. If you have any plans of relocating to Argentina, knowing what you have to stay away from or get more protection for would be your best bet in staying generally worry-free when it comes to your health. First to consider is the country's mostly hot and humid weather. This kind of overall temperature in Argentina makes its inhabitants more susceptible to certain diseases. Thus, your first line of defense should be against mosquitoes. 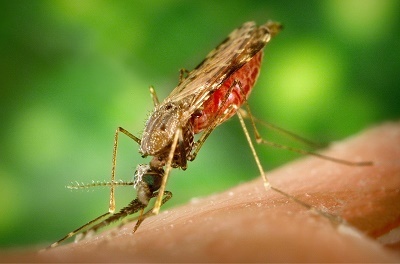 Malaria and other mosquito-transmitted diseases are present in the country. The most common occurrences of these are in the North-West Andean provinces which are closer to Bolivia. Argentina is also no stranger to the threat of dengue fever, registering about 26,000 cases in 2009. Another fatal mosquito-transmitted disease called yellow fever is also an imposing threat to one's health. Additionally, bathing in lakes or ponds is also not recommended due to the risk of countering leptospirosis. Infectious diseases such as those spread by rodents (like the hantavirus, a pulmonary illness), may be uncommon, but is nevertheless a present threat. The hantavirus is a deadly disease of which the risk is present in the area of Patagonia, in the south of the San Carlos de Bariloche region. Diseases transmitted from human to human like tuberculosis are also a health risk present in Argentina, so is the recent strain of the flu virus (AH1N1). Gastric diseases are commonly experienced by tourists, especially those who tend to be a little more adventurous with food. Expatriates are advised to ensure that their dining experience would include sanitary and safety precautions. Caution and prevention are your allies in ensuring that these health risks are kept at bay, as well as a good health insurance policy in the case that you do become unwell.